Domestic Infant Adoptions can be completed through an adoption agency or adoption attorney. 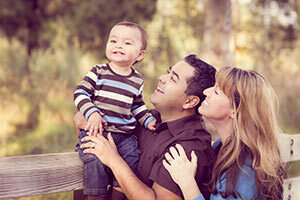 Click here for a directory of adoption service providers in Florida. Foster Care Adoptions in Florida can be completed through the Florida Department of Children and Families (800-962-3678). Join the Florida adoption group in our community! >> Can I adopt in Florida? >> What Adoption regulations exist in Florida? >> Is adoption assistance available in Florida? Can I Adopt in Florida? Applicants must be at least 20 years old in order to adopt. Parents can be single, married, or divorced. You can own or rent a home, as long as the home passes a state safety inspection. Hopeful adoptive parents need to be financially stable enough to support a child’s basic needs. Parents will need to pass a background check before being cleared to adopt a child. For more information, visit AdoptFlorida.org. What Adoption Regulations Exist in Florida? Advertising: Only an adoption entity may advertise that a minor is available for adoption or that a minor is sought for adoption. It is unlawful for any person, except an adoption entity, to charge or accept any fee or compensation of any nature from anyone for making a referral in connection with an adoption. It is unlawful for any person to sell or surrender a minor to another person for money or anything of value. Relinquishment: An affidavit of nonpaternity may be signed before birth; however, consent to the adoption cannot be executed before birth unless in a preplanned adoption. A birth mother cannot consent to an adoption until 48 hours after the birth of the child, or the day after being released from the hospital, whichever occurs earlier. Birth father’s can consent to the adoption anytime after birth. Consent given within 48 hours of the child’s birth is valid upon execution unless obtained by fraud or duress. The court may order scientific testing and reserve a ruling on the removal of the child if an unmarried father wishes to withdraw consent, but has not been established to be the father through marriage, court order, or genetic testing. If the minor to be adopted is at least 6 months old, a 3 day revocation period exists for the birth parents. Once the child is placed with prospective adoptive parents, consent can only be revoked if the court finds that consent came under fraud or duress. An affidavit of nonpaternity may only be withdrawn if the court finds it came under fraud or duress. Birth parent expenses: Reasonable living expenses (rent, utilities, basic telephone charges, food, clothing, transportation, insurance) and medical expenses are allowed to be paid by the hopeful adoptive parents to the birth parents. 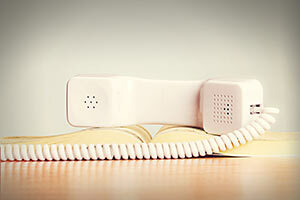 Post-adoption contact agreements: Contact agreements in Florida are not legally enforceable. Birth father rights: The Department of Health has created a Putative Father Registry through its Office of Vital Statistics in Florida. In order to retain the right to receive notice of adoption proceedings, unmarried fathers must register their information with the Florida Putative Registry. Finalization: Children usually live with hopeful adoptive parents for at least 6 months before finalization. The average amount of time between TPR and adoption finalization in 2014 was 10.8 months (acf.hhs.gov). 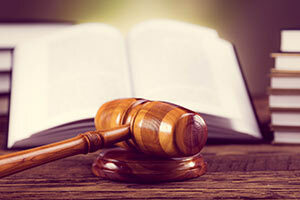 Review Florida adoption laws in detail. Is Adoption Assistance Available in Florida? Many of the children waiting to be adopted in Florida have special needs. Federal (Title IV-E) and state (non-IV-E) programs exist to help adoptive parents meet their child’s needs. 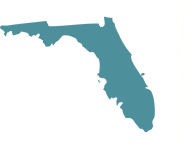 In Florida, monthly payments are typically $416.66 per month ($5,000 annually). A specialized rate is available for children with exceptional needs. To see if your child qualifies for adoption assistance, please visit NACAC.org. It is always possible to adopt a child from another country, even if you live in the U.S. Children under 18 adopted from a Hague Convention country entering the U.S. with an IH-3 visa automatically receive U.S. citizenship. Children adopted from a non-convention country must qualify as orphans before receiving U.S. citizenship. When U.S. citizens finalize an adoption abroad, they must apply to the USCIS for an IR-3 visa for the child. An IR-3 visa classifies the child as an immigrant and provides the child with citizenship upon arrival in the U.S. The immigration process varies for intercountry adoptions that are finalized after the child arrives in the U.S. Florida currently gives full effect and recognition to adoption decrees from other countries issued in full compliance with the laws of that country and the United States. For more information on how to adopt a child internationally, be sure to contact your local international adoption agency. Adoptions in Florida can be completed through the Florida Department of Children and Families. Applicants must be at least 20 years old. Parents can be single, married, or divorced. You can own or rent a home. 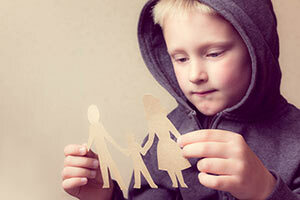 Hopeful adoptive parents need to be financially stable. Parents need to pass a background check and home study. Only an adoption entity may advertise that a minor is available for adoption or that a minor is sought for adoption. A birth mother cannot consent to an adoption until 48 hours birth of the child, or the day after being released from the hospital, whichever occurs earlier. Birth father’s can consent anytime after birth. Consent given within 48 hours of the child’s birth is valid upon execution unless obtained by fraud or duress. If the minor to be adopted is at least 6 months old, a 3 day revocation period exists for the birth parents.